We love Chick-Fil-A and of course we went and celebrated Cow Appreciation Day. Last year (2014) we did the print outs that were online but this year we decided to go a little further. My husband sewed black spots onto our shirts while I painted our cow faces onto plates. 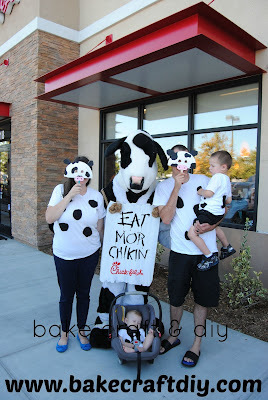 Our photo with the Chick Fil A cow, our two year old wasn't too sure about him. Glue gun- you can use regular glue but you would need additional time to allow it to dry before using. 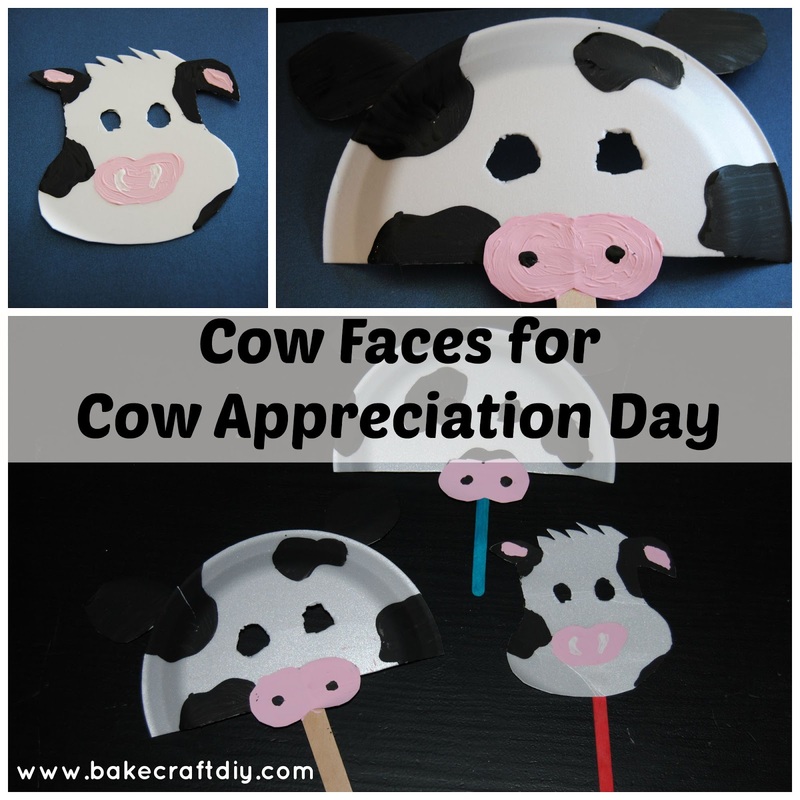 Draw out the shape of the cow faces cut it out. Add painted spots with the black paint and a nose with the pink paint. When the paint dries add the popsicle stick using a glue gun to hold the mask. Cut the plate a little more than half way and use the larger half for the face and the smaller half to cut out the ears. Paint the ears black and add spots to your cow. On a separate piece of paper cut out your nose and paint it pink, when the paint is dry add to nostrils with black paint. When the paint is dried glue the ears to the top and the popsicle stick to the bottom. Have fun being a cow and if you have a Chick Fil A watch out for next years Cow Appreciation Day. 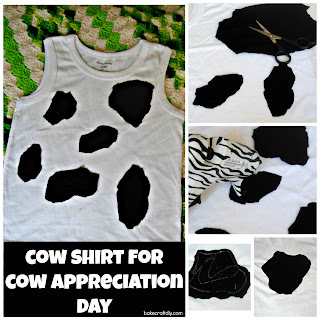 Need a quick cow shirt? Check out this easy cow shirt!! I've always wanted to do this! The masks you made came out really cute!